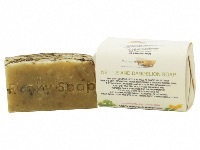 THIS IS A SOLID SHAMPOO BAR CREATED WITH TEA MADE FROM BLACKSEEDS (NIGELLA SEEDS OR NIGELLA SATIVA) AND UNREFINED BLACKSEED OIL. 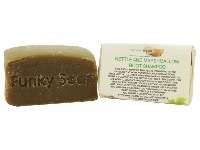 IT IS A VERY VERSATILE PRODUCT AND CAN BE USED FOR HAIR, BODY AND FACE. THIS HIGHLY CONCENTRATED OIL IS MADE UP OF TINY BLACK COLOURED SEEDS THAT ARE COMMONLY CALLED "BLACK CUMIN" BUT ARE SCIENTIFICALLY CALLED NIGELLA SATIVA. 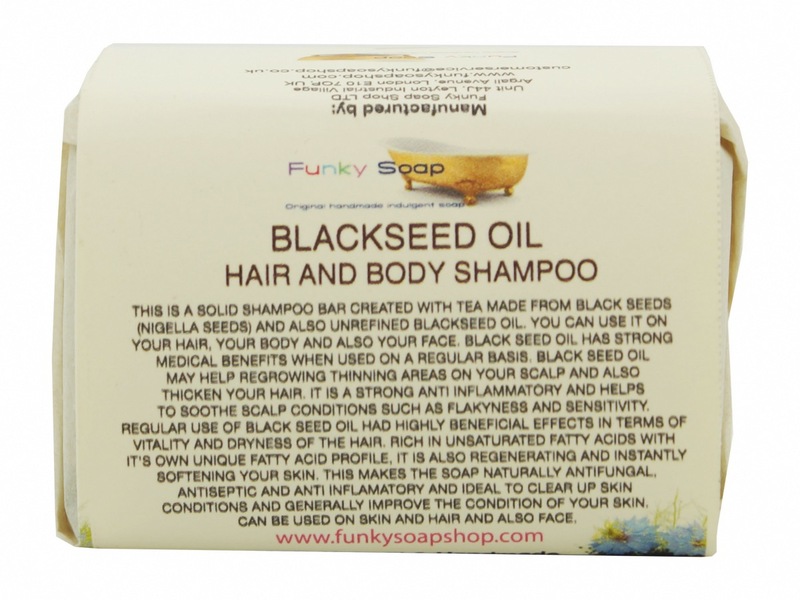 BLACKSEED OIL, IS ONE OF THE MOST BENEFICIAL PLANT EXTRACTS FOR GROWING THICKER HAIR, REDUCING HAIR LOSS AND KEEPING YOUR HAIR HEALTHY. IT IS ALSO HAS ANTI-INFLAMMATORY AND ANTI FUNGAL PROPERTIES THAT HELPS FIGHT SCALP CONDITIONS LIKE DANDRUFF AND FLAKINESS. 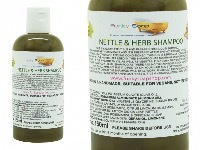 WHEN USED ON YOUR SKIN IT CAN HELP SOOTHE SKIN CONDITIONS LIKE ECZEMA AND PSORIASIS. 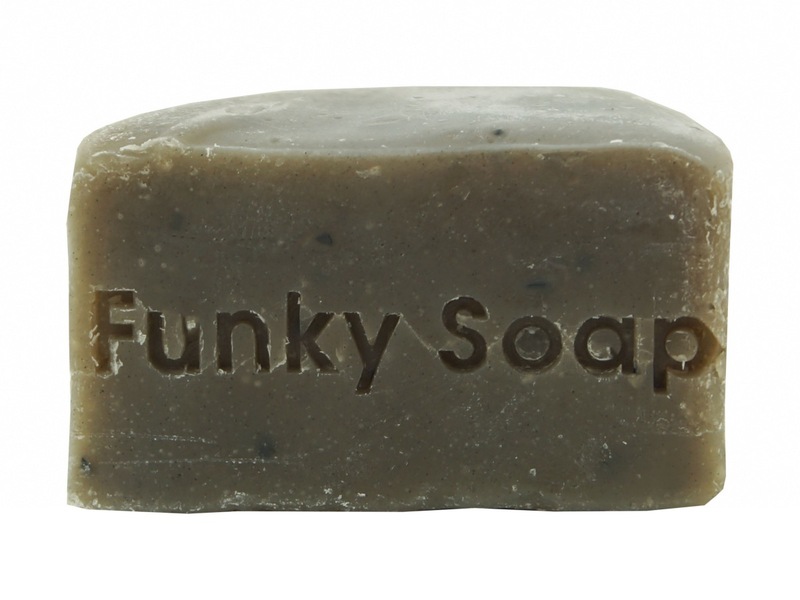 JUST LATHER UP BETWEEN YOUR HANDS AND USE LIKE A SHAMPOO OR A SOAP ALL OVER. 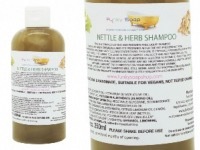 IF USED ON YOUR HAIR AS A SHAMPOO FOLLOW WITH A VINEGAR RINSE OR ONE OF OUR NATURAL CONDITIONERS. I love this soap shampoo. My hair feels good and the lack of plastic bottles is better for the environment. Highly recommended. Really pleased with this shampoo bar. Produces lots of lather and my hair feels lovely and soft. Easy to use , very happy with product.